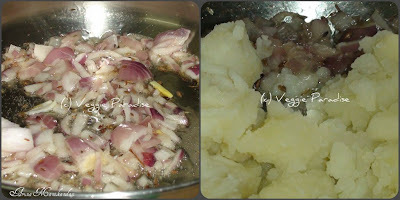 Heat oil in a pan, add cumin seeds and chopped onions, saute them until they turn translucent.Add the potatoes. Along with the potatoes add the turmeric powder, chilli powder and garam masala powder and mix them well. Trim the edges of the bread. Take one slice of bread, dip in water and place them between your palms and press them well to drain all the water. Place the filling in the center of this bread and pack them in such a way they get completely covered. 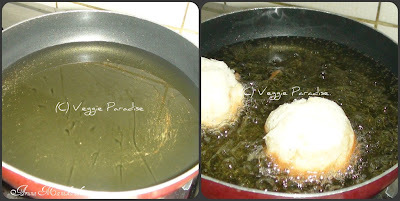 Heat oil in a pan, and drop these balls inside. 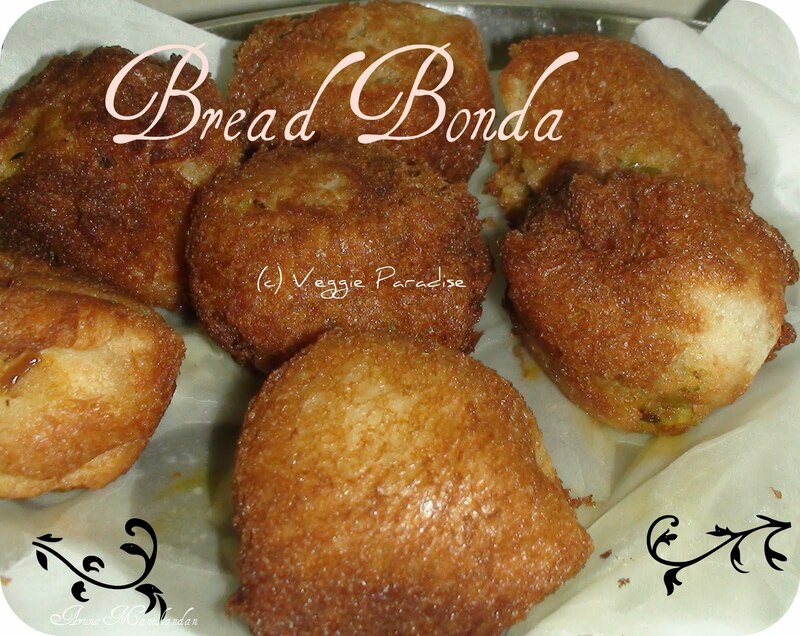 Thats definitely a delicious crispy bondas to enjoy for evening snacks.. 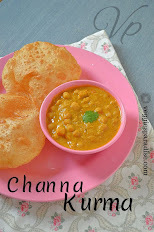 These crispy, tempting snacks are perfect for tea time!!! Wow the bondas really look very crispy and tempting and inviting. Hmmmm, so crispy and yummy. 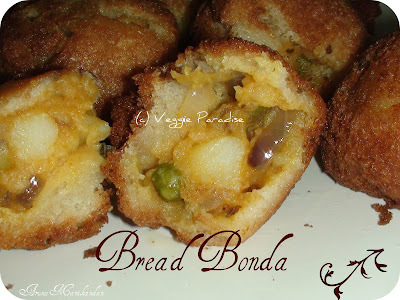 Perfect bread bondas,love the crunchy outside and mushy masala inside. How are you? I think this bonda is equally good for old people like me !! 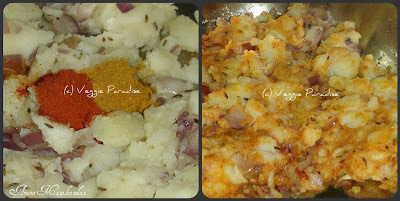 I like this recipe and the photographs are very nice indeed. 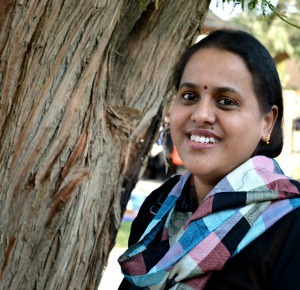 I have been quite irregular on my blog...let me see what all I have missed here. 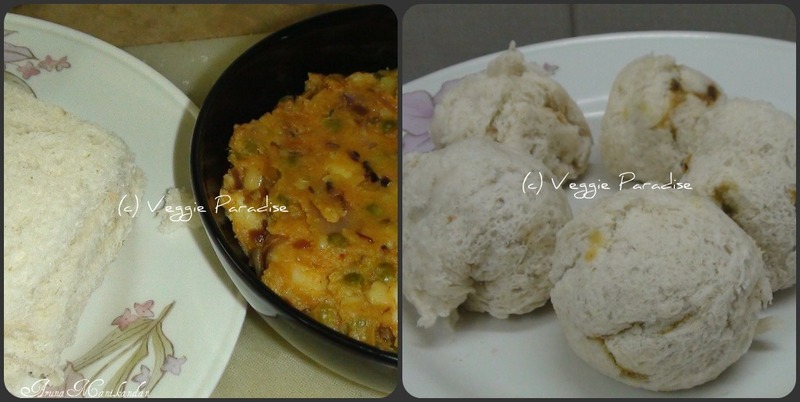 Bread bondas looks perfect ..I make it too, but a slightly different version.. Bread bondas looks super cripsy! !I have tried sumthing similar,bread pockets sometime back..
Bondas look great! Thanks for sharing step by step method. wish i could have this! 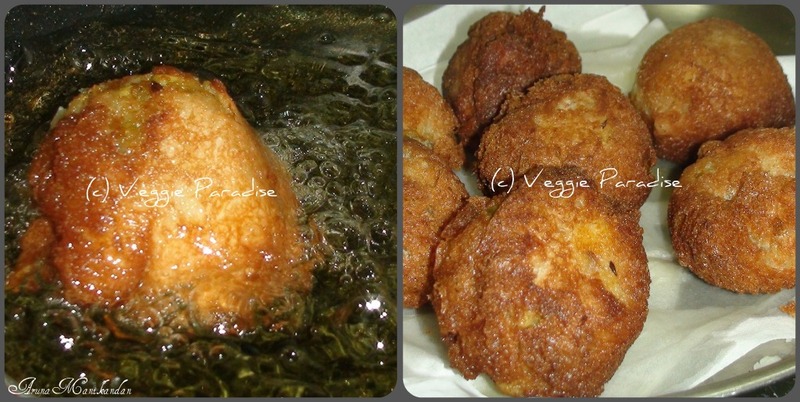 !its been long...and its so tempting..
crispy bondas..perfect for evening snacks..
Ahh..my favorite..looks so crispy n yummy! Wow so invitng and delicious snack.. Tempting bondas... would love to grab some.. I too make this,forgotten for a while,looks so tempting! Looks absolutely tempting.. wonderful snack. 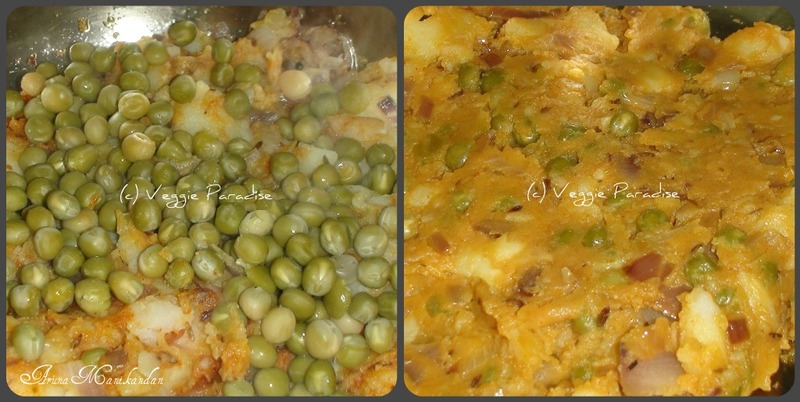 Interesting snack we used to make a similar one but the filling was non-veg, this one is lovely.